The Muleskinner Band has been providing its listeners with a unique blend of quality bluegrass, gospel, and traditional country music for 25 years. Tight harmony, upbeat humor, and excellent musicianship make a Muleskinner performance perfect for a wide range of audiences. 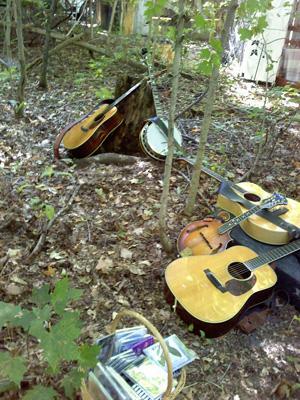 The Muleskinner Band is able to accommodate both stage and acoustic "strolling" venues. 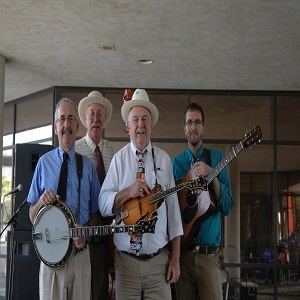 The Muleskinner Band has performed on stages and grounds for a variety of festive occasions including: concerts, festivals, dedications, birthdays, retirements, weddings, receptions, commemorative events, church functions, and church services. This group's track record includes appearances on The Nashville Network, the Ohio State Fair, Country Concert at Hickory Hills Lakes, The Prairie Peddlar Festival, Backwoods Festival, Americana Festival, Wheeling, WVA Jamboree radio show, Cain Park, Clark State Performing Arts Center, Fraze Pavilion, Ashland Arts Council, Springfield Arts Council, and Worthington Arts Council, to name a few. They have performed with Diamond Rio, Collin Raye, Jeff Carson,Margo Smith, The Kentucky Headhunters, Terry Clark, Trick Pony, Lost & Found, The Reno Brothers, Jim & Jesse, Cletus T. Judd, The Isaacs, and The Lewis Family, to name a few. 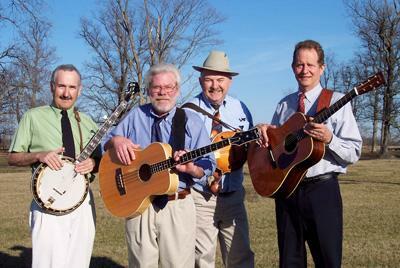 The Muleskinner Band participates in the Ohio Arts' Council fee-support program and is a member of the Ohio Arts Presenters' Network. Bill, Jim, Ed, and Gary have come together as The Muleskinner Band, bringing their individual musical backgrounds, experiences, and influences with them. An evening with the Muleskinners will certainly lead one to the conclusion that none are willing to abandon their musical heritages. Hence, the musical offerings on a given evening will span Big Mon to Buck, Patsy to Merle, Gospel to the Drifters, Doobie Brothers to Crosby, Stills, & Nash. Great vocal harmony is a centerpiece of every Muleskinner rendering, as is solid instrumental backing and soloing. An evening with the Muleskinners will certainly include frequent and prolific storytelling, humor, and good-hearted dialogue with the audience. We hope that this encourages you to "come give The Muleskinner Band a listen." This band is very good! They delivered as promised. My senior crowd wants to have them back! Our client was very welcoming and courtesy flowed! Her staff welcomed us in every way! We'd work for them anytime! Great addition to our Derby party! Everyone greatly enjoyed them and we even had one guest come up and join them for a couple of songs! Highly recommend and will be bringing them back for next year's Derby! We had a great time at our event on Friday.. the guys had everyone singing along, tapping their feet and enjoying themselves.. Thank you so much... we will do this again.. So glad we found the Muleskinner Band on your site! They were a wonderful addition to our lineup of talented musicians. Wonderful performance. Accolades from all who attended our event. No hesitation in hiring them again. Great show - great folks! We could not have been happier with our choice in picking the Mule skinners. We booked them for my wedding and they were incredible. They went out of their way to learn a specific song for me to walk down the isle to and they knocked it out of the park. I got so many compliments. I will be booking the again. You can't go wrong with the Muleskinner Band. They were friendly and accommodating, just a nice group of talented and funny guys. They fit right in to our party like they were kin folk. I was in the music business myself, here in Nashville and I have to say that Ohio is lucky to have this level of talent. Thanks fellas! Having the Muleskinner Band at our Rustic Country Wedding put the whole event over the top. They are incredible entertainers! It was great booking online through Gigmasters too, they made it easy. Thank you! We loved this band for our garden wedding. Not only was their music fun, but so were the guys. We had several musicians in our crowd as guests, and the band was very accommodating, letting them play a few special songs for us. Please note The Muleskinner Band will also travel to Westville, Cable, Mingo, Tremont City, Mechanicsburg, St Paris, West Liberty, Catawba, Springfield, Conover, North Hampton, North Lewisburg, Rosewood, Woodstock, South Vienna, Christiansburg, Middleburg, Zanesfield, Bellefontaine, De Graff, Donnelsville, East Liberty, Irwin, Casstown, Fletcher, Milford Center, New Carlisle, Quincy, Pemberton, Enon.